The first Jesuits in the early sixteenth century were great travellers and Francis Xavier whose feast we celebrate today is considered with Ignatius Loyola to be “co-founder” of this enthusiastic band of missionaries of the Society of Jesus. 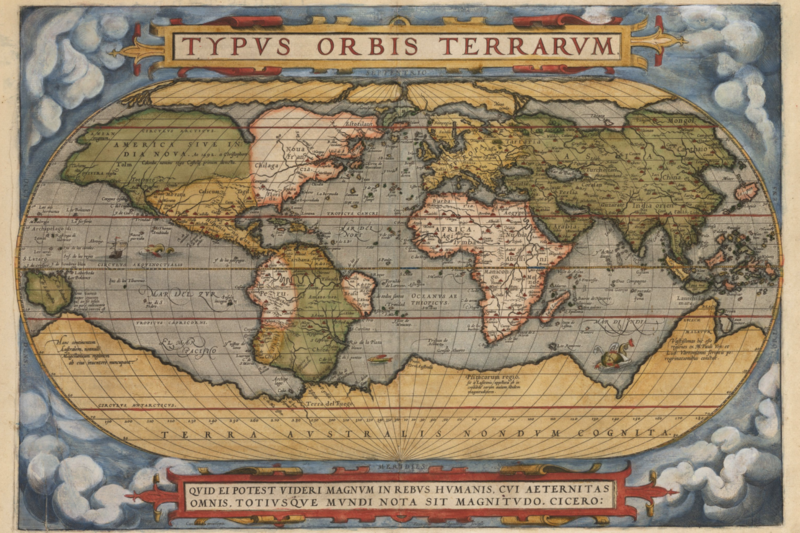 After taking vows with Ignatius in Paris in 1534, and at a time when the map of the world was mostly guess-work, Francis travels took him from Europe into Asia, India, Japan, Borneo and China where he died aged 43. In the almost five hundred since the foundation of the Jesuits, the followers of Ignatius have journeyed to every part of the globe, always as adventurers and often as trail-blazers. There are some great movies are based on these travels: The Black Robe tells of the Jesuit missionaries to Canada (17th century), The Mission (with its magnificent soundtrack) recalls the Jesuits in South America in the 18th century) and the 2016 movie Silence is based on the experience of priests of the Society of Jesus in Japan in the 17th century. But Francis Xavier as with all great missionaries knew that the greatest human journeys are not to remote corners of the earth but to the depths of our own life experience. Francis knew that it is there that we encounter Jesus and this provides the greatest adventure of all. Such domestic encounters with Jesus are not only difficult to recognise as divine encounters, but often written off by us as as too routine or mundane to of God. While not yet a movie (as far as I know) the 1996 novel “The Sparrow” by Mary Doria Russell imagines a future Jesuit mission to Alpha Centauri six trillion miles from earth. As a gentle and reflective start to your week you might like to listen to part of the Mission soundtrack as you drive to work today. As you listen, invite Jesus to inspire you to live your faith as a life-giving adventure. Ask Jesus to help you to notice his presence and action every moment of the next twenty four hours, especially in the routine, mundane and difficult moments. Click here for the Mission Soundtrack. Thank you Fr John. And Thank you for reminding me about The Sparrow. I read if a while ago, must fish it out and read it again. May God bless your day. Thank you Father John, for reminding us that God is always right here in our lives in every part of every day. A very meaty reflection with further suggestions for something to read, to listen to and to watch. Thank you, Father. such beauty in the musical piece – a wonderful start to a day – good for the soul. I have just gone back to your reflection from yesterday, Fr John, and realised that the first part of the stunning music from “The Mission” is a song called “Nella Fantasia”, whose words (Google the English translation) are every bit as inspiring as the music itself, very evocative of the “mission”/adventure you talk about. Thank you for your inspirational words, too.